California is currently experiencing its biggest ever wildfires. Two started a fortnight ago - and have now joined into one huge blaze. Thousands have been forced out of their homes. Further south - there's another fire in Orange County. The fires, known as the Mendocino Complex, are burning around 100 miles north of San Francisco. Since being ignited on 27 July they have devastated 283,800 acres (443.4 square miles). More than 14,000 firefighters from a number of US states are fighting various blazes across the country's north west, almost 4,000 of them dedicated to the Mendocino Complex fires. Their numbers were bolstered by the arrival of 140 colleagues from Australia and New Zealand on Sunday, 53 of whom will help fight the California fires, while the others head for Oregon. 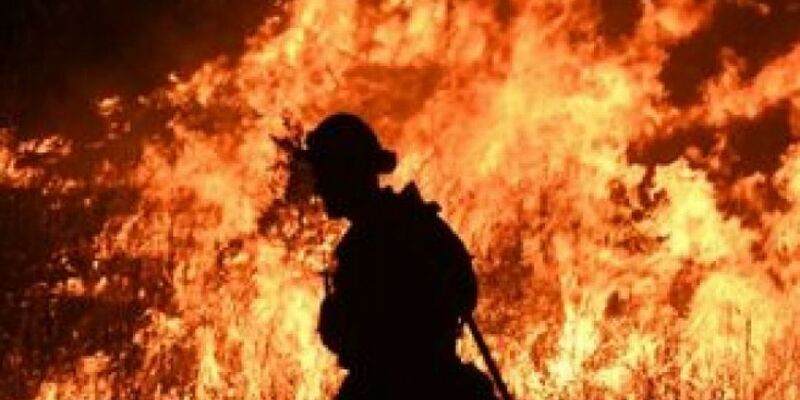 Mr McLean said: "I can remember a couple of years ago when we saw 10 to 12,000 firefighters in the states of California, Oregon and Washington and never the 14,000 we see now."